AVG Technologies has agreed to acquire LPI Level Platforms, a remote monitoring and management software company. The internet and mobile security company will add LPI’s Managed Workplace cloud-based applications to the AVG CloudCare service. The purchase will also boost AVG’s channel presence by adding over 1,500 managed service providers, more than doubling the company’s existing reseller community. CloudCare is AVG’s free cloud-based administrative platform which allows the company, its small-business resellers and MSPs to deploy and manage their clients’ antivirus security remotely. The acquisition will enhance this service by adding LPI’s Managed Workplace modules such as Remote Monitoring and Management (RMM) and Mobile Device Management (MDM). The acquisition is being seen as a large step up from AVG’s pure anti-malware roots to growth in the broader remote management world. The company has been seeking a broader base with additions to its core business such as mobile security, secure search and optimisation services. This has resulted in a fragmentation of the management of the various offerings which the LPI purchase will unite. Apart from achieving this short-term goal, AVG and LPI will advance into the larger market of cross-platform, SaaS-based SMB security and systems management. 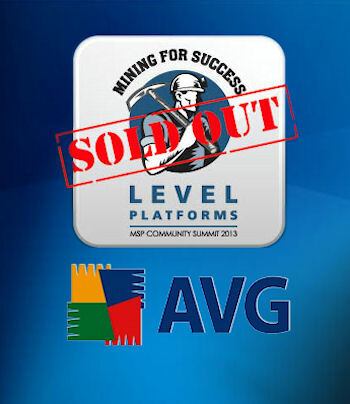 AVG’s move will provide a major talking point at the forthcoming Level Platforms MSP Community Summit on 17-19 June.